Long before there was a housing development, there was a farm. And long before the Miller Family Farm, there was a tree. 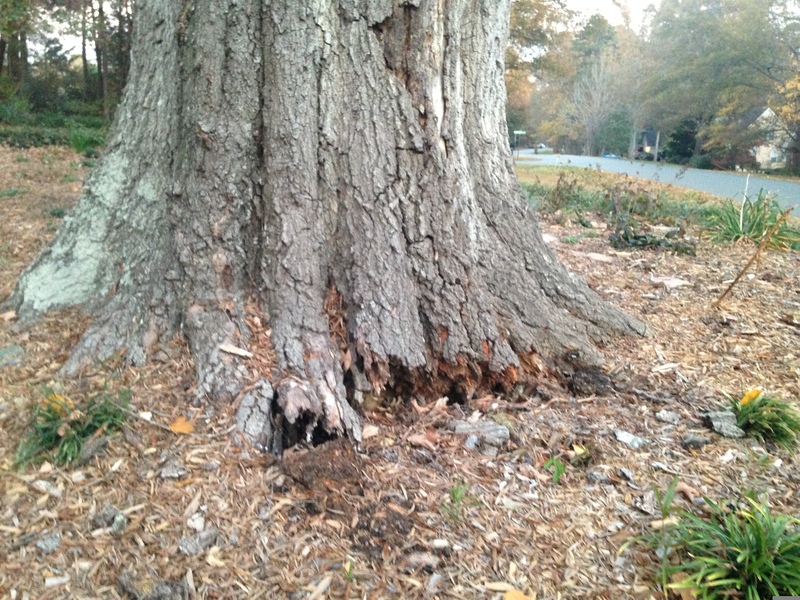 According to local legend, the tree anchored the original home site. I can only imagine the Miller Family was as drawn to its stately presence as we were. While its true age eludes us, it is fair to say that this gentle giant has witnessed a lot – families coming and go, children attempting to climb its massive branches, horses and buggies replaced with automobiles, and the glow of streets lights piercing the darkness. For two years we’ve wrestled with the reality that it would have to come down. 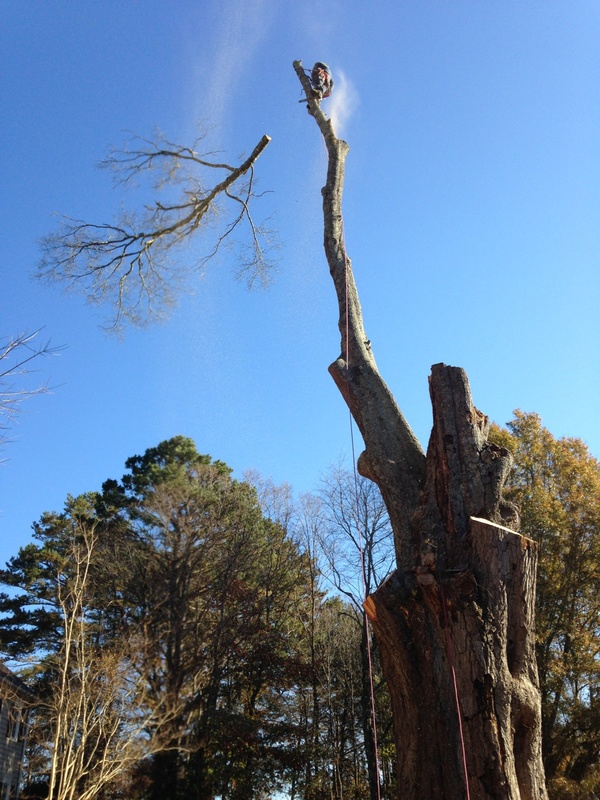 The legendary oak tree was dying and a hazard. 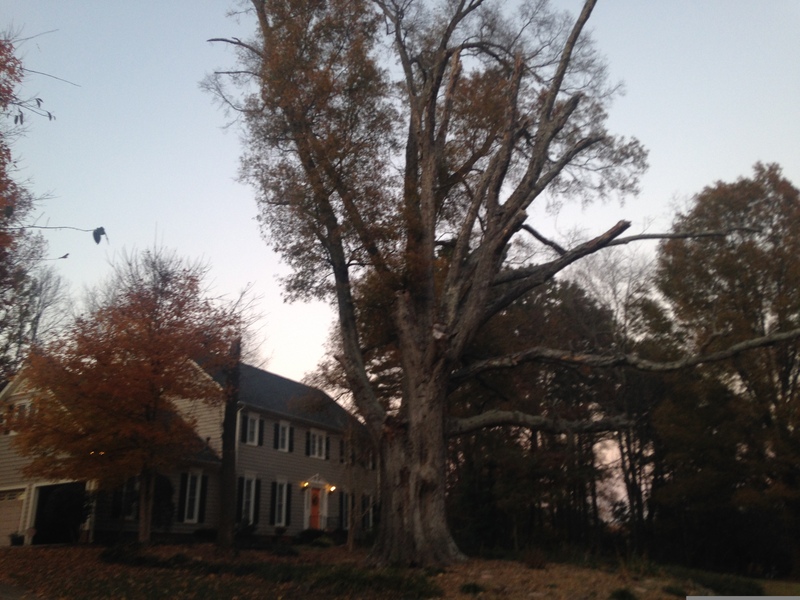 Large, heavy branches would fall in the middle of the night and the base was beginning to rot. 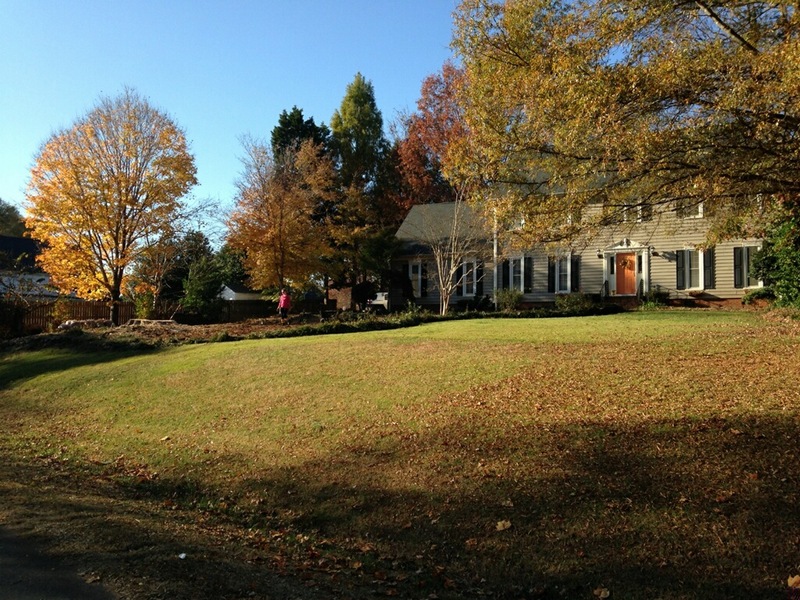 We even had an “anonymous” neighbor send a picture and complaint to Town Hall (by the way, I know who you are). So, this weekend the tree came down. It took a crew of six and five hours. The house shook every time another a section fell. I left midway through the process and didn’t return until it was finished and the crew was gone. It’s still strange to walk out the front door or round the corner onto our street and not see it. Eventually we’ll get used to it. There is also an enormous sense of relief having it gone. I won’t lie awake at night in a panic every time the wind begins to blow, or worry about a branch falling on one of us while we’re tending to the flowers or enjoying our front yard. But we’ll miss its grandeur. 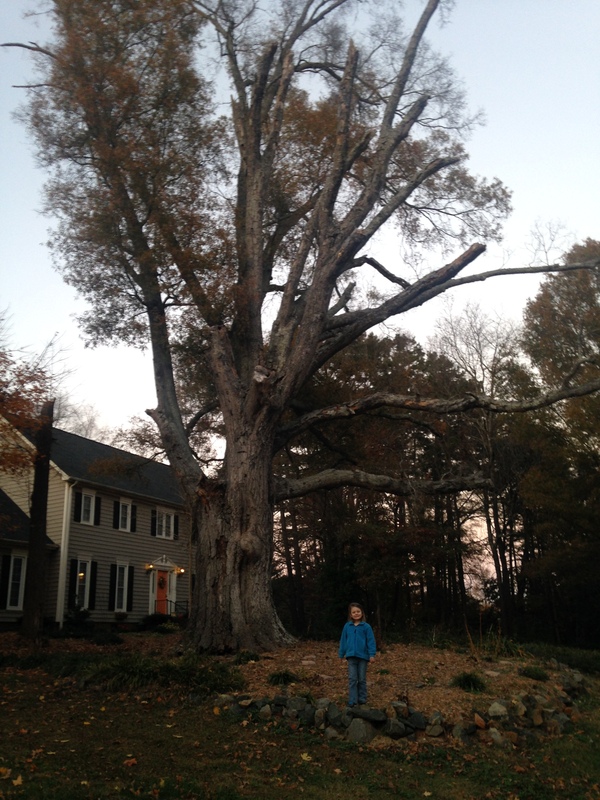 We’ll miss imagining what secrets the giant oak held.